This isn't necessarily the most digital thing I've ever posted about but I had to share. I first stumbled upon Dark Night of the Soul earlier this year through a couple of extremely vague blog posts. Even though information was scant, I will admit that I was seriously excited about what I read. Not only did it seem that the whole project was fronted by Danger Mouse and Sparklehorse's Mark Linkous, two of my favourite artists, but the third major influence and driving force was to be David Lynch, my favourite director of all time. 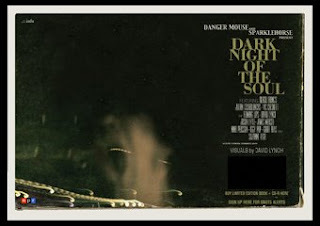 Essentially Dark Night Of The Soul is a project album with songs written by Danger Mouse, Sparklehorse and a bucket load of the industries most respected singers (with all elements contributing to the overall composition and production). David Lynch comes in providing the 100+ page book of photography that provides the backdrop and narative to the whole project. The album was initially planned to be packaged with the book of photographs and released by the beginning May, but unfortunately in now looks like an offic release has been suspended. A spokesperson for Danger Mouse has said, "due to an ongoing dispute with EMI" the book of photographs will "now come with a blank, recordable CD-R. All copies will be clearly labeled: 'For legal reasons, enclosed CD-R contains no music. Use it as you will.'" A pity that's for sure, considering that the artists involved, in addition to Danger Mouse and Sparklehorse, include James Mercer of The Shins, The Flaming Lips, Gruff Rhys of Super Furry Animals, Jason Lytle of Grandaddy, Julian Casablancas of The Strokes, Frank Black of the Pixies, Iggy Pop, Nina Persson of The Cardigans, Suzanne Vega, Vic Chesnutt, Scott Spillane of Neutral Milk Hotel and The Gerbils. You can order the book or poster, both without music, from the official Dark Night Of The Soul Web site. If you want to listen to the album (obviously I reccommend that you do! ), yopu'll need to pop over to NPR Music.